Ever since Apple released its first smartwatch, we have been begging for an always-on display feature so we can see the time without turning on the screen. 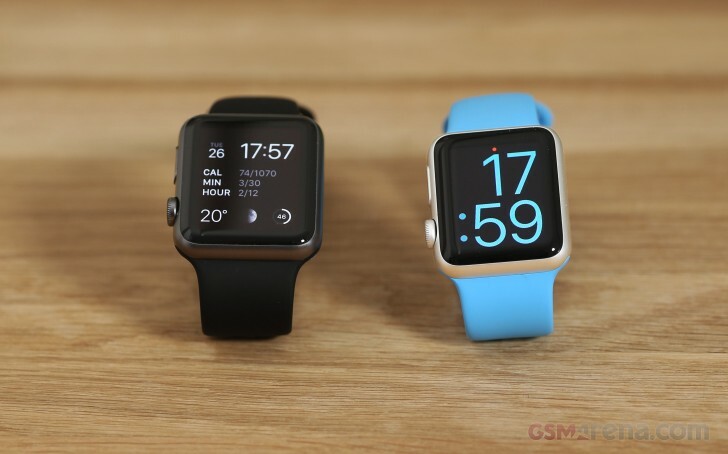 Everyone was wondering why the company won't bring that feature since the watch has an OLED screen that supports it. Well, the latest patent from the Cupertino-based firm gives us some hope. According to a new patent that Apple has filed, engineers were reluctant to include the always-on display functionality because of OLED burn-in issues and battery drain. The second one can be easily solved by switching to a dimmer grayscale mode when not using the watch to preserve battery. The second problem is intrinsic to OLED panels - the so-called burn-in effect that occurs over time when the same array of pixels is turned on for long periods of time. Apple's take on the matter isn't about preventing the burn-in from happening, it's actually masking it. Usage statistics about the OLED will be gathered and use them to restore the visual uniformity of the display by artificially adjusting the brightness and colors of the problematic area. This way users can have the cake and eat it too. The patent also involves a new anti-aliasing technique to smooth out and better fit the content on the curved sides of the screen confirming the bigger and perhaps curvier display of the upcoming Apple Watch Series 4. We could very well see an always-on display feature when it launches alongside the trio of iPhones expected on September 12 if the engineers figure out how to tackle the problems above. If you want to get more technical, visit the source link below.